2 Beds 3 Baths 1,654 Sq. ft. 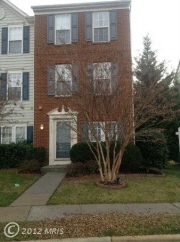 Description: Don't miss out on this 2 br/2.5ba brick front end unit town home in ashburn village. Home shows like a model with special features including; country kitchen w/center island, tons of cabinet space, breakfast area and access to private fenced in yard w/brick patio. Agents please call owner 1st(1 hour b4 showing) to attend to pet. Thanks!